Okay I’ll say a little more. Canada is an absolute incubator of exceptional comedic minds. And we like to show it off, too, across all mediums. 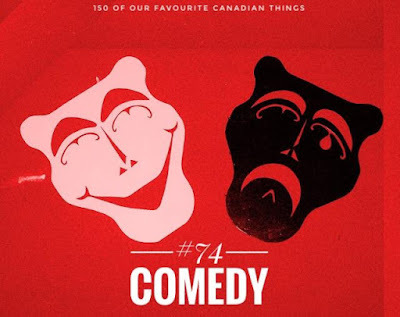 The Just for Laughs Festival in Quebec, Yuk Yuk’s comedy club, SCTV, Kids in the Hall, La famille Plouffe, This Hour Has 22 Minutes, The Beaverton, Trailer Park Boys, The Second City, Men with Brooms and Letterkenny are just a few examples of how Canadians show of their comic hardware. It is another representation of the easy-going, friendly nature of Canadians that we find it so easy to laugh at ourselves, and, in a nice way, at others.